Tree removal is an important option to consider when you are trying to maintain or increase the beauty and the value of your property. Trees are removed for a variety of reasons including damage, death, safety hazards, and public construction. Removing certain trees that may be crowding and harming other trees or pose a risk to your house or your driveway can enhance both the beauty and the value of your property. Dead or dying trees are hazardous and should be cut down properly and removed safely by a professional. – We utilize state of the art machinery to complete these jobs in a safe manner. With our tree removals we remove all debris but we can leave the firewood if you prefer. 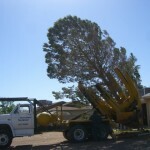 – We employ experienced tree climbers and trained bucket truck operators to perform any type of tree removal in the Las Vegas Valley. Because tree removal is a delicate yet dangerous job, Affordable Tree Service places safety as our first priority. Our team members attend weekly safety meetings to protect both themselves and our clients. Our arborists remove trees using the latest techniques to ensure an effective job. A typical tree removal includes brush chipping and hauling off logs. Stumps can be ground depending on customer preference. We are fully insured for your protection. 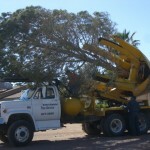 Although tree removal is usually a last resort there are situations when it is necessary. Our arborists can help you decide whether your tree should be removed as they have the skills and equipment to safely and efficiently remove trees.